I am not much of a baker but I love dessert so I've been looking for something's to make which don't involve baking. I saw this recipe on www.foodgawker.com. I wasn't able to open the site so I tried a few different things and they came out great. I first cleaned and cut the strawberry's. I cut the top off then put an x in each one. The cheesecake filling was 4oz room temperature cream cheese. 1/4 cup and a little more powdered sugar and 1/2 teaspoon vanilla. I blended it all up and tasted it to make sure it was sweet enough. 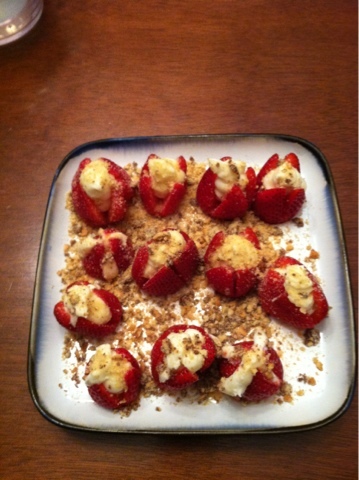 Then I piped them into the strawberry's. I crumbled graham crackers on top for a bit of crunch. 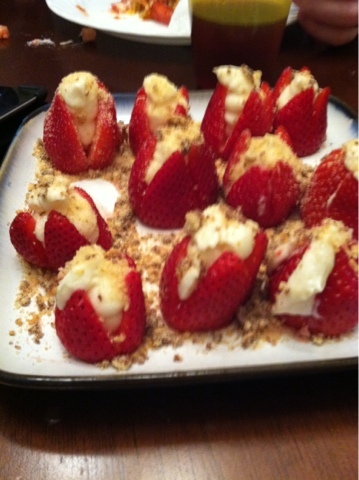 This made 12 strawberry's but in had extra filling that I couple have used to stuff a few more. 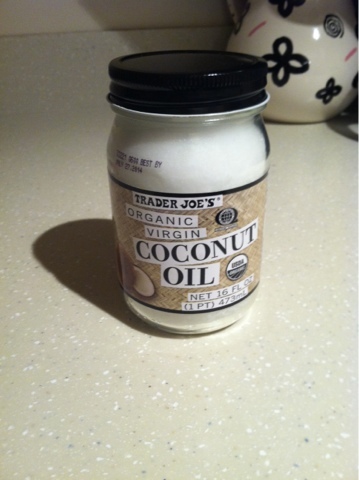 I might be one of the last people who have discovered coconut oil but I am so glad I did. I just bought some last week after reading that it helps with stretch marks. I'm 15 weeks pregnant now and wanted to get a jump on preventing any new ones. So far I love the way it feels and smells. I've been using it as an all around moisturizer. I think it really does add moisture but I'm not sure if it is sound anything for preventing stretch marks. I don't have any new ones and my existing ones look the same. I'll keep you updated. I'm going to keep using it. I also am going to try it out for some cooking too. The health benefits are much better than using a regular oil. Im in full swing for the new year. One of my goals this year is to get and stay organized. Since we are moving soon , I'm trying to get rid of as much stuff as I can. 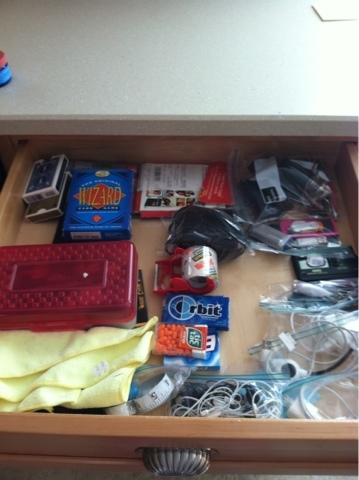 Today I tackled the junk drawer. I'm hoping not to have one of these at the next house. 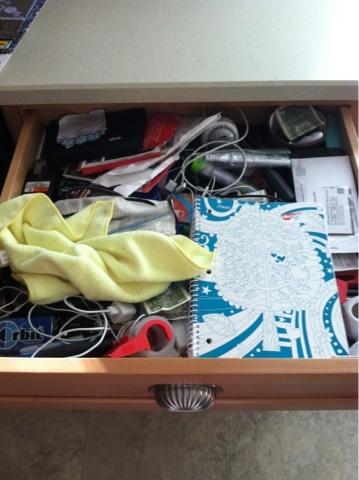 This drawer seems to collect everything that doesn't belong. Finally everything is in its place. Hopefully it stays this way. Well, we finally found a house that we love. An offer was put in and accepted. The appraisal and inspection are complete and we should hopefully be closing soon. Now, the real work begins. I am nervous about everything that needs to be done. Beyond moving everything and getting settled, we need to get our current house ready to be rented. I am sure it will all get done but, it seems so overwhelming now. I am hoping that Evelyn adjusts to the change. I think she is going to love the new space. She is going to have a big room and a new play area in the basement. I am most excited about our new huge master bedroom and the basement. So, much to do and really so little time. I will post pics soon.